This material is suitable for courses that cover the fundamental concepts of sustainable design and green building and courses that cover the LEED-Green Associate exam. This material also supplements materials used for commercial construction means and methods. This book helps students understand the fundamental concepts of sustainable design and green building practices, which will soon become common practice on every project. 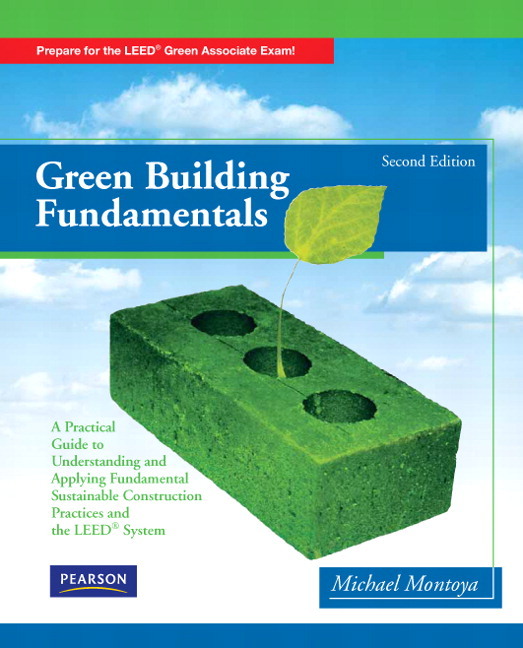 It is also intended as a practical guide for becoming a LEED Green Associate, with a step-by-step study guide and a study assessment (a practice exam of 80 questions with a focused discussion for each example) This book includes a discussion on why this topic is important to understand, practice, and teach. This book includes practical examples of methods that are being used to increase a project’s environmental performance, including additional study resources and references. This book helps students understand the fundamental concepts of sustainable design and green building practices, which will soon become common practice on every project. 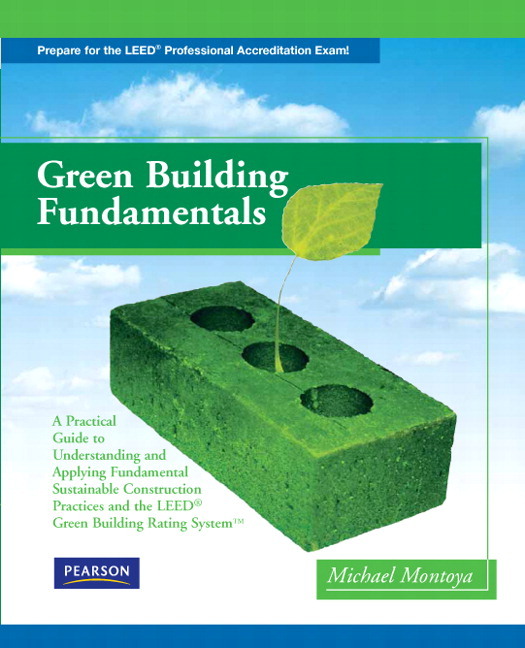 It is also intended as a practical guide for becoming a LEED Green Associate, with a step-by-step study guide and a study assessment (a practice exam with 80 sample questions and a focused discussion for each example) This book includes a discussion on why this topic is important to understand, practice, and teach. This book includes practical examples of methods that are being used to increase a project’s environmental performance, including additional study resources and references. Covers cost implications of green building practices, including initial investments, long-term cost benefits, and current market trends. Provides students with a practical guide to understanding fundamental sustainable design and green building practices. Includes a Focused Study Guide that helps readers prepare for the LEED-Green Associate exam. Features how to become a LEED Green Associate, with a study guide and practice test for preparing for the new LEED Green Associate exam.